Everyone and their dog these days seems to have an MP3 player or smartphone that enables you to take a million+ songs in your pocket where ever you go. The only downside of this technology is the antiquated headphones that are forever tangled in a series of knots that would make any mountaineer cry in frustration. Luckily Bluetooth technology is here to stay and we have a few wireless headphone options such as the BlueAnt Pump HD Sportbuds and the Jaybird Bluebuds X. Both products have a lot to offer but which one is the best choice for you? In order to answer this we are putting these two wireless headphones head-to-head to see who comes out on top. Lets take a look at each one independently before we compare and contrast. Beautiful packaging for both products adds that “wow factor” to your hi-tech gadgets. 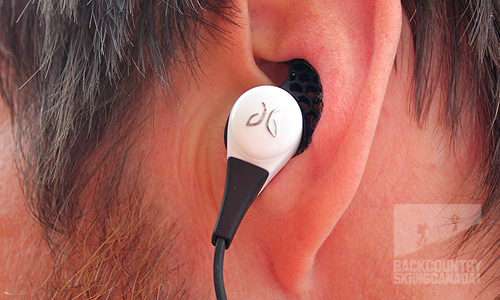 From the first glimpse of the Jaybird Bluebuds X you’d surely have to be amazed. They are slightly larger than a pair of conventional earbud head phones but instead they contain a battery (which lasts for up to eight hours of play time, a USB charging port, bluetooth wireless technology and some mighty fine sound quality. How can that be? I have no idea, but they’re also sweat-proof as they are coated with a ‘Liquipel’ nano coating which makes them ideal for workouts and aerobic activities. 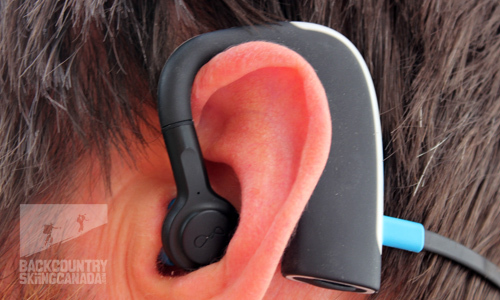 An inline remote behind the right earbud has three buttons which control the power on/off, play/pause, handsfree calling, volume increase / fast forward and volume decrease / rewind functions. There is also a built in microphone which enables you to answer incoming calls. Jaybird’s “X-Fit” allows you to wear the Bluebuds X in two orientations, over the ear or the easier and more universally worn under the ear. Which ever way you choose it’s important to have a super tight seal between the Bluebuds and your ear as this will optimize sound quality, provide deeper bass and block out ambient noise which will interfere with your experience. To aid in fitting the Bluebuds X to the multitude of ear sizes Jaybird has included three different-sized silicone buds and three unique secure fit cushions which are designed to keep the earphones in place during activity. Once you have your fit optimized and your configuration preference (this will take some time and experimentation to perfect) then it is time to deal with the excess cord that you may or may not require. Two sets of guides are included to loop back the cord that you don’t need so as to provide a snug fit to the back of your neck. If you prefer to wear the cord in front of your neck then the excess cord is not an issue. The sound quality of the Bluebuds X is just as good as a wired earbud set-up which is due in part to Jaybirds use of a native Bluetooth SBC codec, which they call Shift™. Jaybird uses high end speaker technology but also considers sound performance when designing the ear bud housing materials, wall thicknesses and even the glues used around the speaker. Additionally, Jaybirds on-board filtering system called, PureSound™ filters out white noise which is a result of Bluebuds X speaker diaphragm and your ear canal having their own impedance or resonance frequency. These need to match each other or it creates a mirroring effect resulting in white noise feedback. PureSound takes care of this without you even being aware of it. There is also no “packet loss” with the Bluebuds X; the sound is compressed and then sent through the air via Bluetooth to the Bluebuds which then uncompresses it. Jaybird’s “Signal Plus” technology enables you to place your music device anywhere on your body or even in a bag away from you. The signal will continue loud and strong without signal dropout at 33 feet inside or more than triple that distance outside. There’s also an onboard assistant named Jenna who will let you know you have paired your device (up to 8 devices in total) as well as when you power on or off. There LED on the right Bluebud X will let you know when they are powered on or need to be charged. For this a USB charge cable is included with the Bluebud X wireless headphones which fits into a hidden micro USB port at the back of the right Blubud X earbud. In order to know how much playtime you have left a battery life icon is displayed on your music player’s screen (for the iPhone and iPod models this is found in the top menu bar). The Jaybird Bluebuds X also comes with a storage case to protect your investment and keep them from getting damaged or lost. 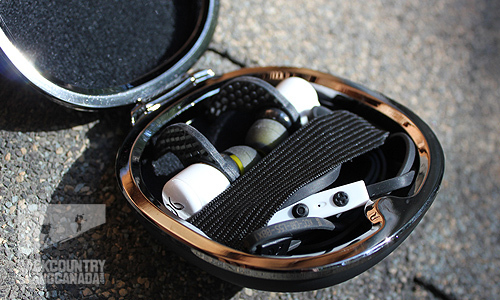 The Jaybird Bluebuds X comes with a fancy magnetic storage case. Micro small with all the technological wizardry right in the earbuds. All of the controls are housed on the small in-line controller. The cord adjustment isn’t very slick but with some patience it works. 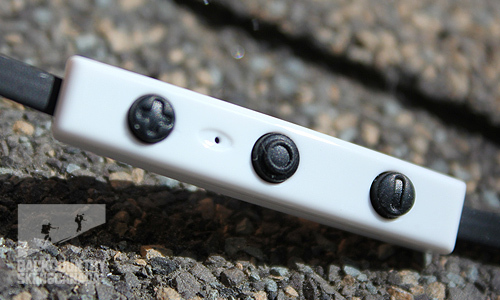 The micro-USB port is even housed in the earbud, imagine that. 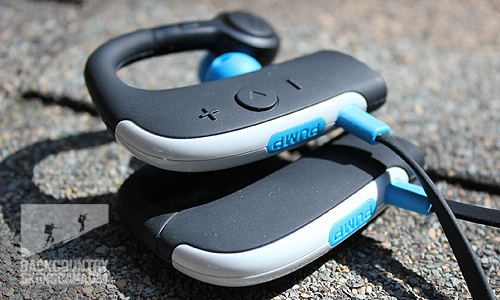 The BlueAnt Pump HD Sportbuds are a waterproof/wireless Bluetooth headphone that has an eight hour battery life and are easily recharged with the included USB cable. The micro USB charging port can be found the underside of the left earbud which has a tight closing rubber flap in order to keep water out. To verify battery life refer to the status indicator located on your music player’s screen (with an iPhone or iPod this is in the top menu bar). The right Sportbud has an LED light located just below the controls to indicate when the power is on. The controls themselves consist of three buttons which control everything from power on/off, play/pause, to skip forward/back and volume up/down. 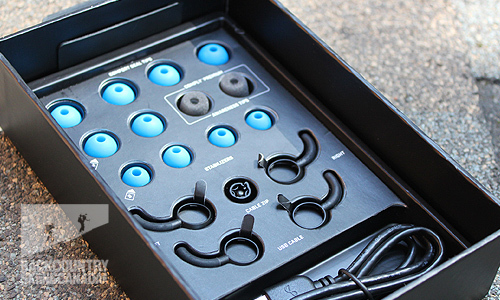 To ensure that you get a proper snug fit the Pump HD Sportbuds come with seven pairs of different sized ear buds. One of these pairs is made of soft sponge so that you can hear ambient noise in addition to your music. This is ideal for city use when you need to be aware of traffic and other important noises. There are also two sets of stabilizers included to ensure you have a tight seal with the Sportbuds, otherwise the quality of bass and overall audio you hear will be inferior. 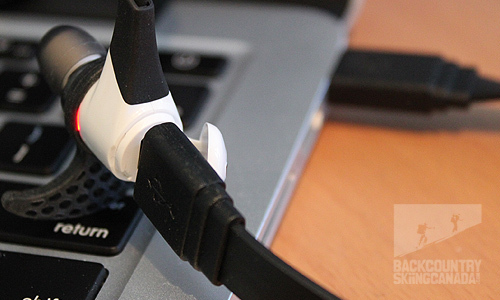 A small clip is provided so that you can shorten the audio cable if required. Traditional earbud designs are freestanding and are prone to falling out of your ears but the Pump HD Sportbud’s weight is distributed over your ear with the majority of the mass and weight behind the ear. 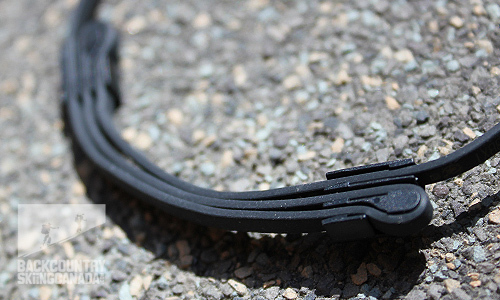 This ensures that the Sportbuds will not fall out no matter what the activity and due to their low profile they can be worn under a helmet if required. The sound quality is comparable to wired earbuds thanks to BlueAnts Energize HD Audio technology and since the Sportbuds have a secure fit with your ears the bass is deep and pumping. With a 100 foot range you can leave your music player in your pack or away from you completely and there will be no loss of audio or random drops. 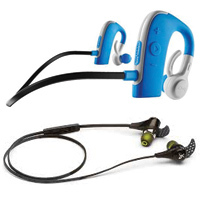 The fully waterproof design of the BlueAnt Pump HD Sportbuds comes from the use of a Teflon coating and Kevlar construction. This enables you to submerse the Sportbuds under water to rinse and clean. You can also use the Pump HD for swimming as long as your head is above water since Bluetooth does not transmit through water. 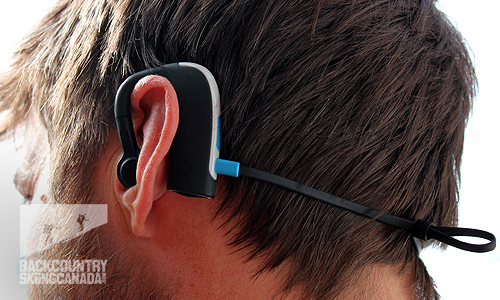 The BlueAnt Pump HD Sportbuds are an over the ear design which make them comfy and secure. All the controls are contained on the right earbud except the micro-USB charge port which is on the left. Plenty of accessories to optimize your fit, not that you will likely need any. 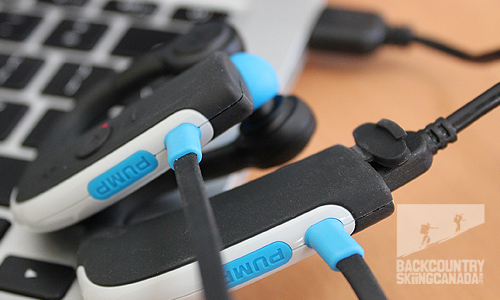 Below you can see how the Blue Ant Pump HD Sportbuds are charged from a computers USB connection. 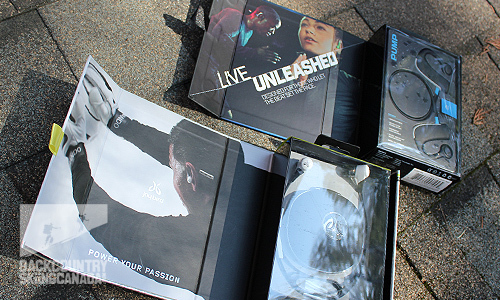 Overall both the Jaybird Bluebuds X and BlueAnt Pump HD Sportbuds are quality products that deliver good audio sound. There is a slightly noticeable amount of additional bass with the Pump HD Sportbuds and a less defined mid and high range. While the Jaybird Bluebuds X have a more balanced sound with a greater range it is important to remember that a good seal with your ear is essential to have either perform well. The signal range, batter life and function is similar for both devices as are their charging methods. 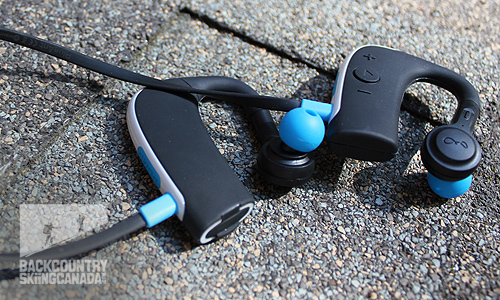 While the Pump HD Sportbuds are completely waterproof the Bluebud X are only water repellent, but since you can not really effectively swim with a Bluetooth device, this one we will call a tie. The real differences lies in the size, weight and fit for each product. 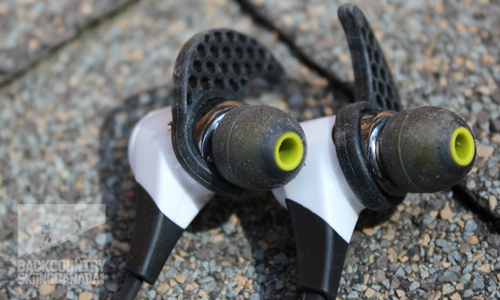 The Jaybird Bluebud X are easily one quarter the size of the Pump HD Sportbuds and this is a huge difference; after all nothing says high tech better than micro size. The Bluebud X are also less than half the weight of the Pump Sportbuds coming it at just 13.8 grams versus what I calculated to be 32 grams for the Sportbuds. Given these numbers you would think that the Bluebud X would be compatible with a helmet but since all of the battery and technology bits are contained in the ear bud itself they protrude quite a bit making a helmet a very painful proposition. 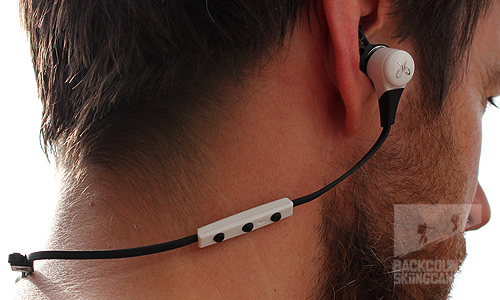 The over the ear design of the Pump HD Sportbuds makes them less comfortable than the Bluebuds X to wear with sun glasses. Fitting both products straight out of the box was no contest. With the BlueAnt Pump HD Sportbuds I took them out and put them on and they were super comfortable, had a natural feel and simply never fell out of my ears. With the Jaybird Bluebuds X however, it took a solid week to configure them to my particular ears. Since the Jaybird product is a traditional stand alone earbud with all the technology in the earbud itself they are heavy enough to fall out and hence the need for the “secure fit cushions” to fight gravity and keep them in place. After trying multiple configurations of earbuds and cushions, not to mention the big over the ear/under the ear question—I was able to get a secure fit. I ended up having to shorten the cord with the rather finicky adjusters they provided (this in itself tests your patience) since you want the cord short but not too short or else it will catch on clothing or stick to your skin and pull the ear buds out. I found that both under the ear and over the ear worked well for different reasons so this really comes down to preference. While this was a tedious process I still found it worth the time. I was struggling to getting past the hearing aid look of the Blue Ant Pump HD Sportbuds so I really wanted to make the Jaybird Bluebuds X work, and I did. Value for money the Pump HD’s would have to win at just $129.95 versus $169.95, however this $40 difference does include a fancy case with a magnet lid and as I said before a much more technologically advanced design. So who is the overall winner? Well, I would have to call this one a tie for a few reasons. The Jaybird Bluebuds X have better sound and are lighter and smaller but the BlueAnt Pump HD Sportbuds were far less finicky to fit and they simply never fell out - ever! They also worked under my ski helmet. So there you have it, each are well worth the price of admission for completely different reasons and it is really left up to you the consumer to see which is the better product for your individual needs. 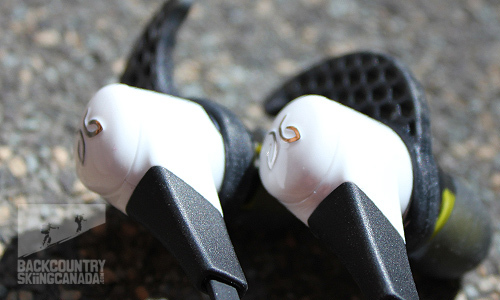 While the Jaybird Bluebuds X were more work to fit percisely they are much smaller and lighter. The BlueAnt Pump HD Sportbuds fit really well right out of the box, just not all that comfortable when you wear sunglasses.